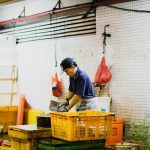 While the evidence for EI being a positive contributor to business success, people are talking about a darker side to EI. But is it enough to mimic EI behaviours? Is that really EI? We don’t think so. Emotional Intelligence (EI, or EQ – Emotional Quotient) was been a consistent topic in leadership circles for 30 years, and it has been written about from the 1930s. 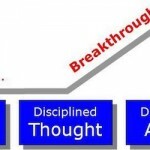 It is rare for a concept, theory or idea to remain at the forefront of organisational thinking for so long. 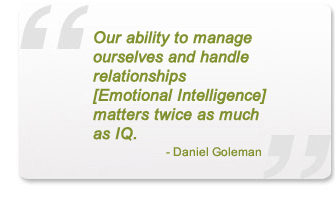 One of the most well-known contributors to our understanding of EQ is Daniel Goleman, and his book Emotional Intelligence. Around the same time, Covey was publishing his book The 7 Habits of Highly Effective People and he went on to relate the habits to Emotional Intelligence. 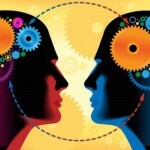 The idea behind EQ is that our ability to relate meaningfully with other people matters more than our IQ. 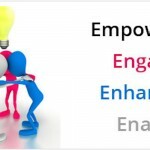 The concept goes deeper than the usual set of good communication skills. It includes the ability to empathise, and to manage your own and others’ emotions. 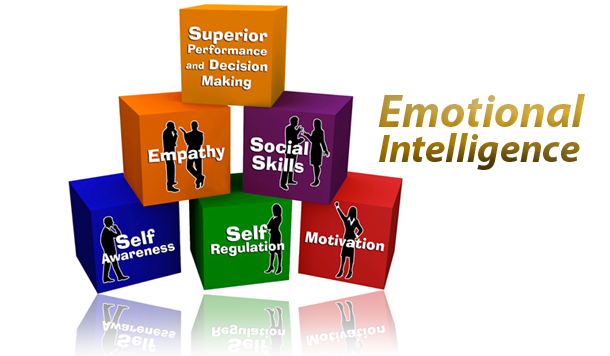 Emotional intelligence (EQ) is one’s self-knowledge, self-awareness, social sensitivity, empathy, and ability to communicate successfully with others. It is a sense of timing and social appropriateness, and having the courage to acknowledge weaknesses and express and respect differences. Combining thinking and feeling creates better balance, judgment, and wisdom. There has been a great deal of research suggesting that in the long run, emotional intelligence is a more accurate determinant of successful communication, relationships, and leadership than is mental intelligence (IQ). Self Awareness: The ability to know your own emotions, strengths, weaknesses, drivers and motivators, goals and values, and to recognise their impact on others. Self Regulation: Managing or redirecting (not repressing or hiding) your disruptive emotions and impulses, and the ability to adapt to changing contexts and situations. Motivation: The ability to manage your own optimism – to stay positive and motivate oneself to achieve goals. Social Skill: Understanding the emotions and drivers of others, and is able to manage these in business settings to achieve goals and results. Empathy: The ability to recognise and understand how others feel, especially when making decisions. While the evidence for EQ being a positive contributor to business success is strong, a quick search of the internet reveals many writers discussing a “darker side” to EQ. They say that this is the ability to consciously manipulate others to achieve your own ends. In other words, knowing enough about human behaviour to purposely mimic EQ-type behaviours with the intention of manipulating others for personal gain. Many writers consider this behaviour is another demonstration of EQ, albeit the darker side. Adding fuel to the fire, it has also been shown under controlled conditions that some trait based EQ assessments are susceptible to manipulation, giving “false positives” to people consciously trying to achieve good scores using their knowledge of EQ traits and behaviours. I have some difficulty with the idea that mimicking EQ behaviours is EQ. (An analogy might be, classifying the winner of Master Chef as a seasoned Chef.) Perhaps it arises because of the loose definitions of EQ from the writers of 20 – 30 years ago. But I would argue that our understanding of the 5 categories, especially Self Awareness, Self Regulation and Motivation, have progressed enormously in the past decades. There always will be people who recognise the value of human relationships in doing business, and try to put EQ behaviours into practice even though some of the traits might not be natural to them. There are the few who have explored Emotional Intelligence in order to understand it fully, for whom EQ has become a natural way of working. For these people, their personal values are aligned with the EQ values. In business, in Performance Focused Organisations, you want these types of people to form the majority of your leaders; they will solidify your business with good internal and external relationships, great drive and decision making, and a sense of confidence and progress. 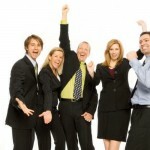 How can you ensure that you choose emotionally intelligent people when next promoting or hiring? Use the Paradox Report and the Life Themes from the Traits and Definitions Report from Harrison Assessments.